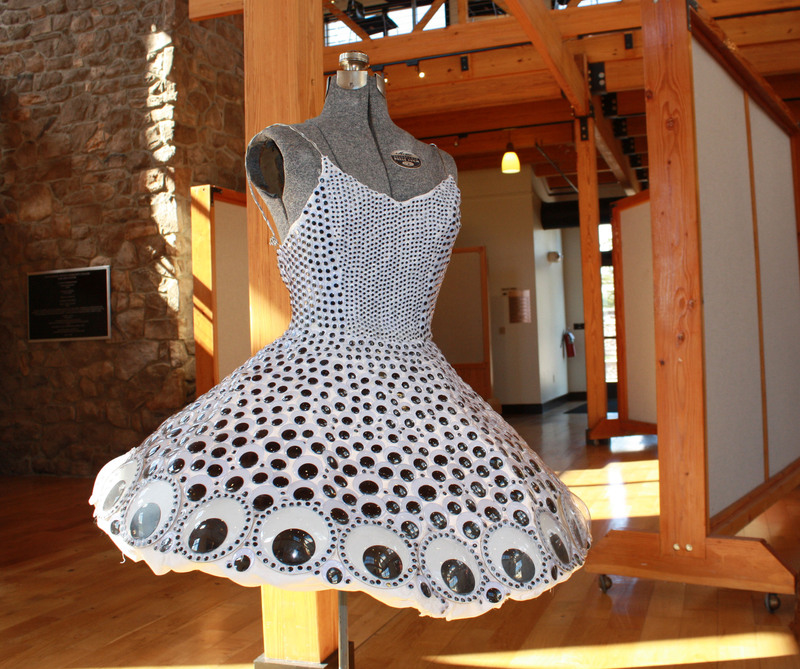 Thursday, March 16 @ 2-3 p.m.
Wednesday, March 22 @ 1-6 p.m.
“Staring Back” a mixed media sculpture by Natalie Rock of Germantown Academy. Blue Bell/Pottstown, PA –Budding artists from Montgomery County will exhibit their multi-media creations during the 39th Annual Montgomery County High School Exhibition & Competition from March 8 to 31 at the Montgomery County Community College Fine Arts Center Gallery, 340 DeKalb Pike in Blue Bell, Pa. The juried show will include about 150 pieces by 144 artists representing 17 different high schools in the County. Schools were permitted to submit up to 10 works selected by art teachers at those schools. The creations were then juried by Linda Crane an independent artist who taught art for 33 years in local school districts. A reception and awards ceremony featuring the artists will be held on Wednesday, March 22 from 5 to 7 p.m. in the Gallery. Students with works in the exhibition represent Abington High School, Calvary Baptist School, Cheltenham High School, Germantown Academy, Hatboro-Horsham High School, Jenkintown High School, La Salle College High School, Lower Moreland High School, North Penn High School, The Pathway School, Perkiomen Valley High School, Plymouth Whitemarsh High School, Souderton High School, Springfield Township High School, Spring-Ford High School, Upper Dublin High School and Upper Merion Area High School. The social media hashtag for the show is #mcccarts. The Fine Arts Center Gallery, features the artwork of local, regional and national artists through an array of exhibitions. It is open Monday through Thursday from 8 a.m. to 9:30 p.m., and Fridays from 8:30 a.m. to 4:30 p.m. The Gallery will be closed March 13-19 for spring break. For more information, visit the website at www.mc3.edu/arts/fine-arts/art-wc, or follow us on facebook.com/destinationarts. For more information on Linda Crane and her art work, visit www.lindacranestudio.com. 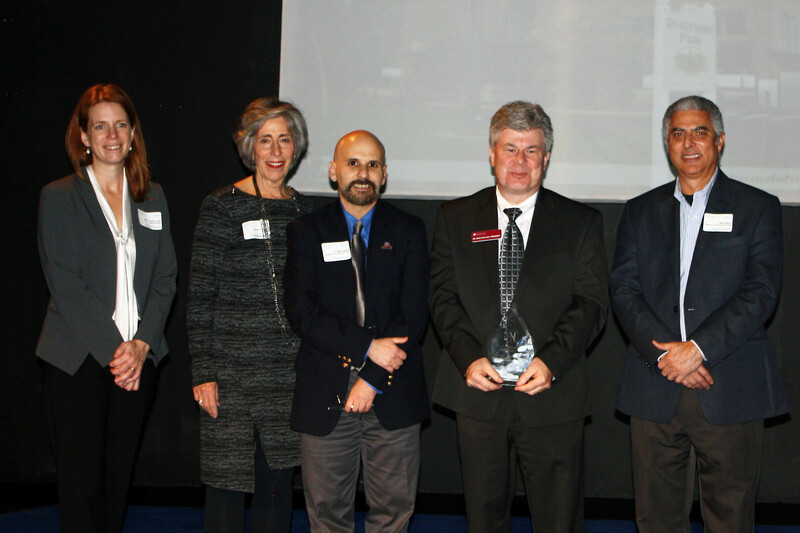 Montgomery County Community College received one of the Montgomery County Planning Commission’s Montgomery 2016 award for the planning and design of its Sustainability and Innovation Hub. From left: Jill Blumhardt, Montgomery County Planning Commission board member; Dulcie F. Flaharty, Vice Chair, Montgomery County Planning Commission, Dr. David DiMattio, Vice President of West Campus; Dr. Kevin Pollock, MCCC President; and Jaime Garrido, Associate Vice President for Facililties and Construction at MCCC. Blue Bell/Pottstown, PA— The Montgomery County Planning Commission recently presented Montgomery County Community College (MCCC) with a 2016 Montgomery Award for the planning and design of its Sustainability and Innovation Hub at 140 College Drive, Pottstown. MCCC was one of five award recipients to receive this honor during a recent awards ceremony held at Theatre Horizon in Norristown. 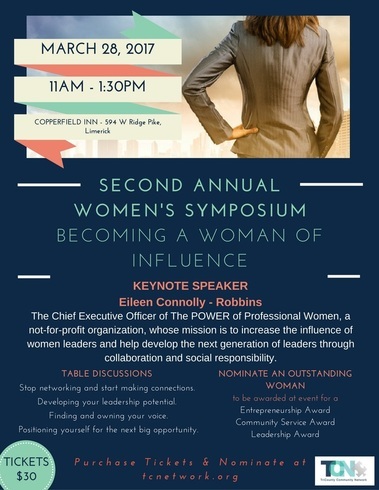 The other recipients are The Courts of Spring Mill Station, Whitemarsh Township; Narberth Place, Narberth Borough; Einstein Medical Center Montgomery, East Norriton Township; and Reliance Crossing, Souderton Borough. Additionally, Paul W. Meyer, the F. Otto Haas Executive of the Morris Arboretum of the University of Pennsylvania, received the 2016 Planning Advocate Award. MCCC’s Hub not only has programs in sustainability and innovation, but the building and property are themselves models of these principles. During the course of six years, MCCC transformed the building, a former energy substation, and three-acre brownfield site into a state-of-the-art center for education, innovation and conservation. The architect for the project was Murray Associates Architects of Harrisburg, and the engineering company was Bruce Brooks and Associates of Philadelphia. Pottstown Borough transferred the property to MCCC in 2007. The rehabilitation was both part of Pottstown’s Redevelopment Plan, as outlined in its 2003 “Riverfront & Memorial Parks Master Plan,” and a way for MCCC to expand its West Campus. 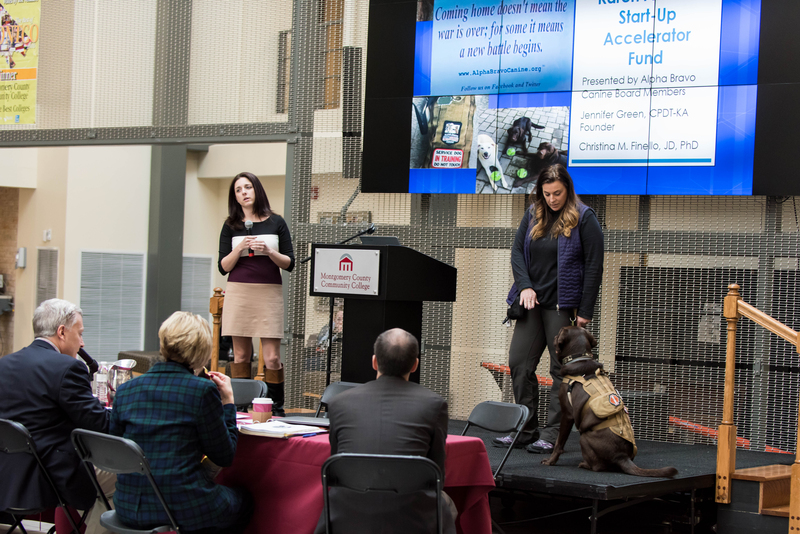 Starting in 2010, MCCC developed the site in three extensive phases, concluding in 2016 with the opening of the Hub on April 18. Phase I started with the installation of a 202-space parking lot. The innovative design uses bioretention and includes the planting of more than 130 native plants and trees. Through an EPA grant, MCCC installed energy-saving LED lighting. Phase II included abatement and cleaning of mold, lead and asbestos from the building and involved preparing the building’s south side infrastructure for demolition and remediation. 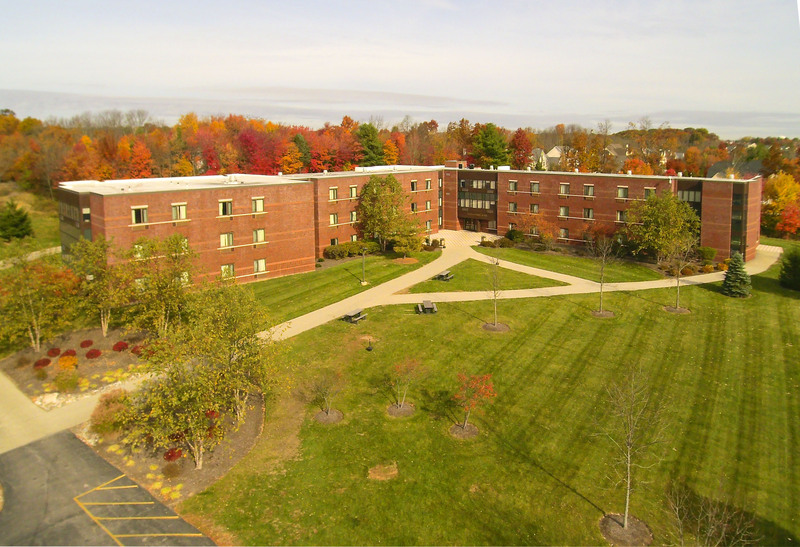 MCCC replaced the leaking roof with an eco-friendly green roof; added a new entrance, handicap-accessible ramp and energy efficient windows; and updated water and sewer services. Between Phases II and III, MCCC installed four wind turbines on the property. The turbines produce a collective 4,000 watts of energy–enough to power the LED parking lot lighting. The turbines were designed as a demonstration project to teach students and the community about alternative energy production. Phase III involved the construction of the Hub’s classrooms and innovation spaces in the building’s south side. The Schuylkill River National and State Heritage Area (SRHA) has its headquarters in the north side of the building since 2002, which also includes the River of Revolutions Interpretative Center for visitors. The Hub’s first floor features an aquaponics and hydroponics teaching laboratory, which supports MCCC’s interdisciplinary Environmental Studies degree program, as well as future programs in the areas such as greenhouse technology, food production, horticulture and landscape design. Aquaponics and hydroponics involve growing fish and soil-less plants in a symbiotic system. The Hub’s second floor features an Engineering Design Center, which supports MCCC’s Engineering Technology program and prepares graduates for careers in the advanced technology fields of instrumentation, communications and mechanical structures and systems. In this space, MCCC students, faculty and community businesses are working with robotics and 3D printing. The Hub’s mezzanine floor is a flexible innovation space that can be used by the community, as well as for classes. MCCC holds its new Software Developer Academy in this area. For more information about MCCC’s Sustainability and Innovation Hub, contact Dr. David DiMattio at ddmatti@mc3.edu or 610-819-2070. Christmas tree delivery to a military base thanks to Trees for Troops. Trees for Troops (T4T) was launched by the Christmas SPIRIT Foundation in 2005. 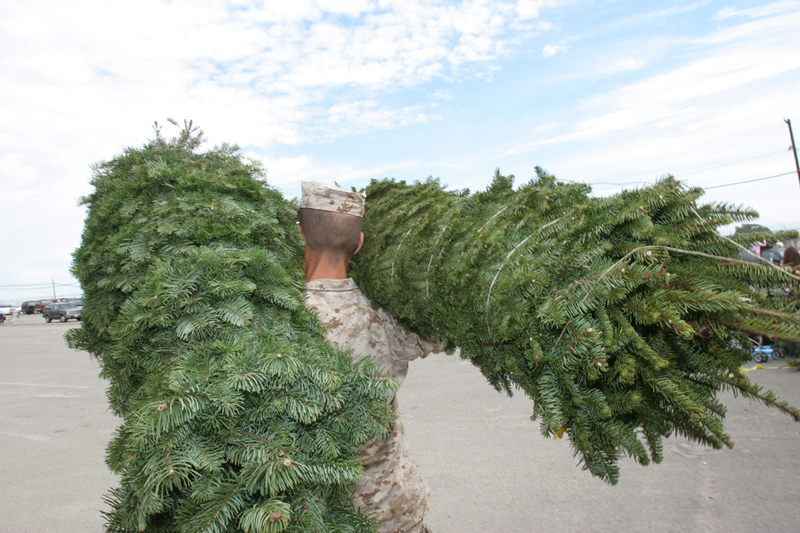 Since then, more than 176,096 real trees have been delivered via T4T partner FedEx to military families at 65 military bases throughout the United States and overseas. In 2015, 18,633 trees were shipped to every branch of the military. Bustard’s Christmas Trees joins about 400 other Christmas tree growers and retail lots in 26 states throughout the U.S. Since the local Christmas tree farm began participating in Trees for Troops, it has contributed 2,300 trees. Last year, one of Bustard’s Fraser firs graced the White House Blue Room, which adds pride to military families who receive a tree from the 87-year-old family-owned business. Bustard’s Christmas Trees will launch the holiday season Friday, November 25th, the weekend before T4T. In addition to real Christmas trees, it sells handcrafted wreaths, swags, garlands and grave blankets. Real Christmas trees are also sold at Vernfield Village Market, 883 Main Street in Vernfield. Both locations will be open through December 23rd daily from 9:00 a.m. to 9:00 p.m. Both sites provide Bustard’s 2016 calendars, a Santa mailbox for kids and tree tying and bottom-trimming services. The Bustard Road store brews hot chocolate on weekends for customers to enjoy while shopping for trees and wreaths. For details, visit bustardschristmastrees.com or call 610.584.4058 or Jay Bustard at 484.300.0634. Go to christmasspiritfoundation.org for Trees for Troops, a 501(c)3 public charity.